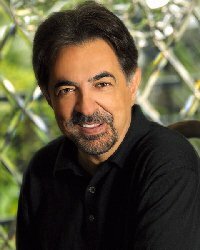 Joe Mantegna is one of the most versatile talented actors in the business. That is the opinion of his fans, and judging by the countless awards and recognitions he has been given, the world seems to agree. Whether it's playing the role of a loving father in the hit TV series, Joan of Arcadia, the vicious mobster "Joey Zasa" in�Godfather III, the comical buffoon in Baby's Day Out, his guest appearances on Saturday Night Live or his role of dedicated Supreme Court justice Joseph Novelli in the series, First Monday, Joe likes to play a diverse range of characters. This creative actor also directs, writes and produces. He no sooner receives a nomination or award for one role, and in the wink of an eye he is being presented or nominated for another. He won a Best Actor Tony Award for the role of Ricky Roma in Glengarry Glen Ross (1984). Emmy nominations include the mini-series The Last Don (1997) and The Starter Wife (2007). He was nominated for both an Emmy and a Golden Globe for his role as Dean Martin in The Rat Pack (1998). His most popular character to date is that of FBI special agent David Rossi on the fabulously successful crime series, Criminal Minds, in which he convincingly portrays one of a group of dedicated, highly intelligent agents who profile serial killers for the F.B.I. For all his achievements and more Joe received a star on the Walk of Fame this past April. I could fill these pages with Joe Mantegna's acting credits and awards. But recently I had the opportunity to actually speak to and interview him about his life, his career and his future and here's what he told me. Cookie: I'm going to start off with a question that has bothered me about Hollywood stereotyping for many years. You did a lot to break that typecasting when you portrayed Chief Justice Novelli on the TV series First Monday, but, Joe, why is it Hollywood has never chosen an Italian American actor to play an Italian American President of the United States, or the Vice President for that matter? Joe: I'm not sure why there hasn't been an Italian American actor portraying the U.S. President or Vice President in Hollywood, but, more importantly, I'm looking forward to when we have an Italian American as our actual President or Vice President! In choosing an Italian name in my portrayal of a Supreme Court judge was a conscious effort on my part to help further the cause of portraying Italian Americans in positive roles whenever possible. Cookie: Joe, you were born Joseph Anthony Mantegna, Jr., the son of Mary Ann Novelli and Joseph Anthony Mantegna, Sr. Now most actors with long Italian names have had to shorten or change them. In fact many of the big studios insisted on it. How did you manage to keep your family name? And we're so glad you did, no telling what Hollywood would have come up with! Joe: It was never a question for me to keep my name. It was my father's name and his father's name for who knows how many generations back. This country is a country of immigrants, and no ethnic group should feel a pressure to change their name to be successful in this, their now native country. That's what makes America strong, so I'm proud to list my Italian American name alongside all those who have come before me, and after. Cookie: Not everyone knows of your musical talents, Joe, the fact that you are an accomplished bass player, and that you played in several bands one of which went on to become the wildly popular hit band known as Chicago. When and where did you discover this love for music and did you study music as a possible career? Joe: I became part of a band in high school that became quite popular in the Chicago area in the late '60's. We were called The Apocryphals and we performed with such acts as Neal Diamond, Bobby Sherman, Paul Revere and the Raiders, and toured occasionally with a group that later became Chicago. For a long time I wondered if I would stay in music or move into acting, but in 1969 when I was cast in the play Hair, I realized that acting was probably the path I should take. Cookie: Joe, with all the parts you have played and all the actors you have starred with, is there one role that has eluded you that you would very much like to portray? And is there an actor, or actress, or director that you would especially like to work with? Joe: I've made it a point not to look too far forward into my career as to what roles I would want to portray, or what actors and directors I want to work with. I've been lucky enough to work with the finest actors and directors in the world, in very high profile plays, films and television shows. I feel blessed to how it's worked out so far, so I don't have a very long wish list. Cookie: As devout movie goers and fans of the stars we all have our favorite films and actors, even some that we have idolized since our childhood. Joe, do you have a favorite film, entertainer, or actor that you consider your all-time favorite? Joe: Errol Flynn was who I idolized in my childhood, especially his film, Robin Hood. I'm happy to say when I got my star on the Hollywood Walk of Fame in April it was placed next to that of Errol Flynn. Cookie: In 1969 you graduated with a degree in acting from the Goodman School of Drama. From there you went right into a production of Hair. Do you want to tell us about that experience? What kinds of roles were available for a kid fresh out of drama school? Joe: My experience in Hair will always be special to me as it was my first professional job, and it's where I got together with my wife Arlene whom I've been with all these many years. As a young actor at that time I felt the whole world of show business was open to me. I knew it would be a difficult journey, and it has been, but fortunately it has all worked out pretty well. It's hard to believe this is my 42nd year in the business. Cookie: Today you star in one of the hottest crime drama's on television, Criminal Minds. I'm wondering about your character, FBI agent David Rossi. He's a cool one, never smiles; very serious, almost sad. The ladies love him. Will romance and love come into his life in a future story line? Perhaps for just one episode? Joe: Not sure what's in store for David Rossi, but I'm thrilled to be a part of it and look forward to hopefully many more seasons on it. This too was a case where I asked for the character I played to be an Italian American. Cookie: As a busy and illustrious actor, I know you are involved in countless causes and benefits. Do you have one or two that you spend the most time with and that you would like us to know more about? Joe:�I'm a supporter of various charitable organizations, most can be found on my website at www.joemantegna.com. The Barbara Sinatra Children's Hospital, Autism Speaks and Act Today for Military Families are high among them. Cookie: Joe, whenever I am lucky enough to interview an Italian American entertainer I always ask them this one question: What is your favorite Italian dish and are you a good enough cook to prepare it? Joe: My wife is a great cook, and we own a restaurant in Burbank, California called Taste Chicago, which features many Italian dishes.� I personally make a pretty good plate of Eggplant Parmigianino as well as Fried Calamari. Drop by when I'm there and I'll personally make you up a platter! Cookie: I think I'll take you up on that offer, Joe, You just named two of my all-time favorite foods, Italian or otherwise! I'll have to take a special trip to Burbank, California and sample your wonderful Italian cooking. Grazie!